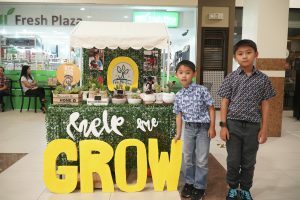 Last July 28-29, 2018, twelve kiddie business ventures headlined the BIZ KIDS Fair at Commercenter Alabang. Selling their self-made products ranging from food and beverages, toiletries and personal care products, arts and crafts, and accessories, the little entrepreneurs enjoyed a fun and profitable weekend. 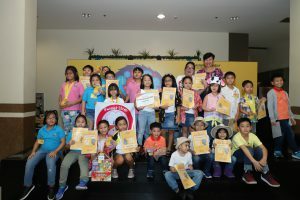 Aside from providing the kiddiepreneurs with free space where they can sell their products to a new and bigger market, the “kiddie start-up incubator” also recognized the kids who excelled in different categories with the first-ever BIZ KIDS Awards. KiddiEssentials, a venture of Thinkers Unlimited students Jane Lanza, Rocio Coching, Chelsea Subang, Yzzy Atienza, Lilou Massebieau, Dylan Centeno, Verena Veloso, and Miranda Eugenia Server, bagged the “Most Innovative Biz” Award for their unique product line of kid-safe essential oil roller and spray bottles, and personalized lip balms. In addition, the group also won “Sales Genius” for achieving the highest sales in the Handicrafts Category. Another big winner is Sweet Stop, which was both the “Crowd Favorite” and the “Sales Genius” for the food category. 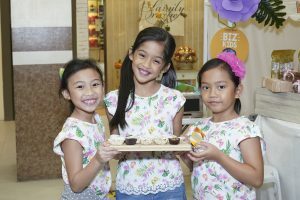 Their “cutecakes,” which are pre-baked cupcakes that customers can customize on the spot with frostings and toppings, were a bestseller at the weekend fair. Sweet Shop is a project of Joellianne Alegre, Vito Coching, Alfonso Cu-Unjieng, Franco Librea, Lilly and Tiger Lloren, Breanna Luistro, Andrea Oquialda, Reese Suarez, and Lucas Francis Veloso, students from Thinkers Unlimited. Joaquin Gabriel and Rocio Antonio Dee’s Help Me Grow, another innovative venture that offers succulents potted in upcycled (recycled and decorated) containers, won the award for “Best Booth Design.” Veronica Porciuncula, Juliane Richie Perez, and Karisse Natalie Villocillo of Little Ladies VCK bagged the “Most Creative Marketer” award for their fresh approach to their digital and on-site promotions for their Starry Star Slime, handmade natural soaps, and baked goodies. “Because of their courage and the hard work that our kiddiepreneurs put into their mini-ventures, this makes them all winners in our eyes. More than anything, we’d also like to acknowledge the parents who tirelessly support their kids and cultivate their talents,” adds Tagle-Dinglasan. 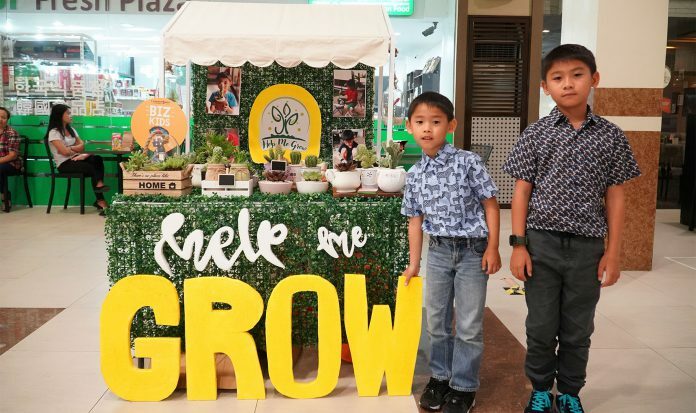 La Vie Institute, a center for personal and professional growth located at the second level of Commercenter Alabang, conducted a mini-workshop for all participating kiddiepreneurs of BIZ KIDS on the first day of the event, to help get them ready for their sales and marketing activities for their respective businesses. The mini-workshop was led by Program Director Monica Santiago-Munoz, and Sales and Performing Arts Mentor JV Canta. 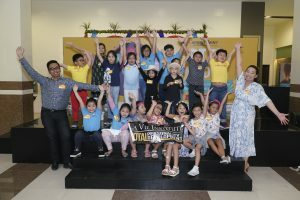 At the end of the mini-workshop Spencer Saw of Little Chef Nuggets stood out and was recognized as “Most Persuasive,” while Chloe Pia Ysabel Valdoz, Hannah Sofia Bianan, and Sache Wynona Villanueva of Crafty Chicks were cited “Most Energetic” of all the participants. Another Commercenter establishment, CMA Mental Arithmetic, showed their support for the young entrepreneurs with a pep talk from Managing Director Grissel Gomez to send them on their way to a successful weekend fair. 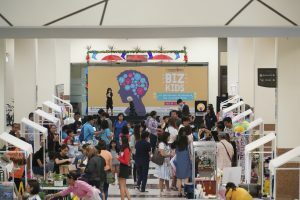 BIZ KIDS is presented by Commercenter Alabang, and is supported by Official Media Partners Inquirer.net, KinderPop, and InqPOP!, Media Partners WheninManila.com, Manila For Kids, MomCenter Philippines, and WhatsHappening.PH, and Tenant Partners La Vie Institute and CMA Mental Arithmetic – Alabang.